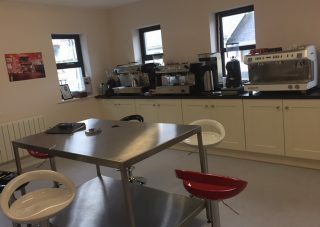 in Ballinskellig, Co Kerry who manufacture their own compostable cups and lids. 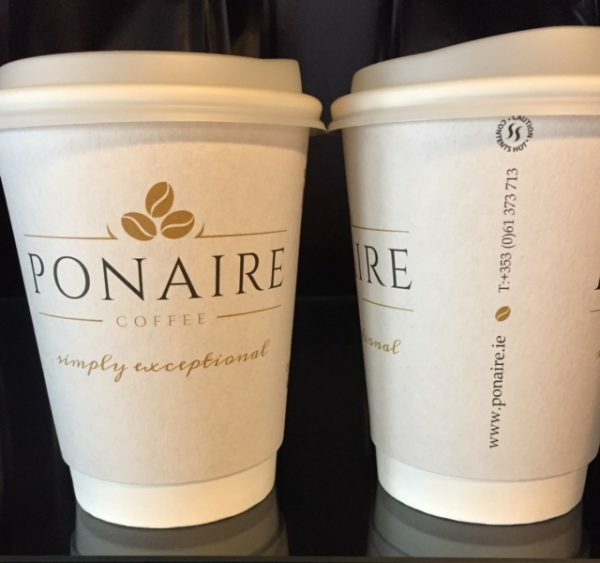 We were delighted to work with them to customize our Ponaire cups and even happier that they could be made in Ireland, saving lots of airmiles and supporting an Irish company. 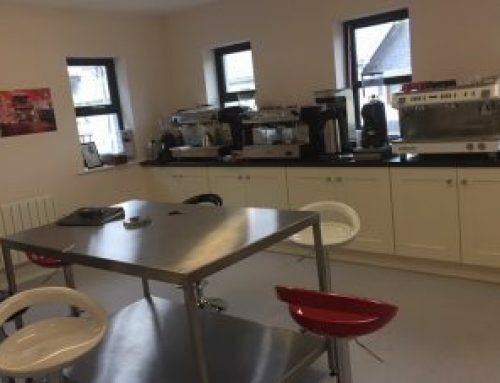 They invited us to visit their factory in Ballinskelligs so we could see first hand how the cups are made and meet some of their staff. 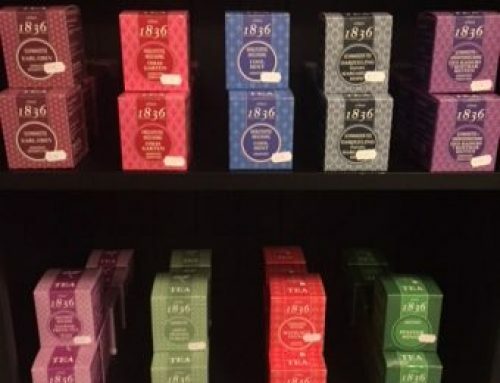 Great to be working with an Irish company manufacturing in a most beautiful part of Ireland. We love our new cups and lids that can be disposed of in the brown bin along with food waste. Not only are the new cups pretty, they feel nice and keep your coffee hot while you are on the go.